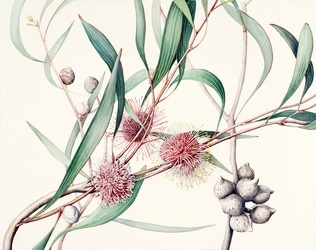 My favourite Australian botanical artist is Marta Salamon. 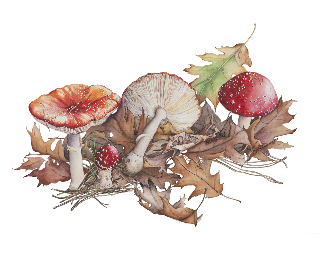 She describes herself as a botanical and natural history artist, working mainly in watercolour and gouache. She has won Best in Show at Australia Wild at Sherbrooke Gallery and been ​awarded the Celia Rosser Medal of Botanical Illustration in 2016. 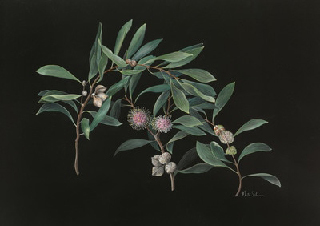 To quote Marta's own words from the Botanical Art Society of Australia site: I enjoy the exploration of the plant as a botanically accurate representation but I am increasingly drawn to simplifying images, trying to work out what it is about a plant that draws me to it. Consequently I have been exploring the use of various kinds of appropriate backgrounds and placing a plant in its context.Since I live in the Dandenong Ranges, the location itself continues to inspire and this has also begun to include the fauna of the Hills. So here is an artist who has achieved perfection but is still striving for a different way to capture her favourite subject. 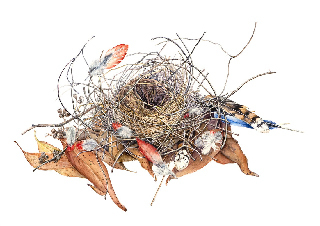 Marta Salamon is one of the artists who participate each year in the Dandenong Ranges Open Studios. I can highly recommend this event to those of you living in the Melbourne area. You can have a wonderful day going from studio to studio chosen according to your interests. In between you can eat at the local cafes and taste the local foods. A wonderful outing which will take place on the 5-6 May, 2018. For further details contact the organisers. Be sure to include a visit the studio of Marta Salamon. https://www.botanicalartandartists.com/history.html for an excellent overview and links to relevant sites. I find it interesting that botanical illustration and art is becoming popular once more. Perhaps we are just a little concerned that our world is changing and we had better take notice of Mother Nature the artist before it is too late. Tomorrow I'll feature Botanical Artist Marta Salamon.